There are very few supermarkets these days that do not have firewood stacked up outside: small batches of logs wrapped in cellophane with a handle attached that seems to be more useful for punishing hands than serving as an effective method of carrying 20 pounds of wood. It’s all in the spirit of convenience, however, and although those tortuous totes of timber can make an effective fire, there is no retail option more appealing than manufactured firelogs. There are many brands, but one purpose: to provide a quick, easy-to-light fire for homeowners who wish to entertain their family or guests for the evening. But how safe are they? Are they better than just using traditional firewood? Let’s compare firewood and firelogs to figure out the pros and cons of each. The biggest complaint against burning firewood is the amount of greenhouse gases created by a typical fire. Carbon monoxide is a byproduct of burning wood, and although the levels are not high enough for concern to the homeowner, the gases that come out of the chimney are considered significant enough by some locales that limits have been placed on wood burning, such as “no burn” days. 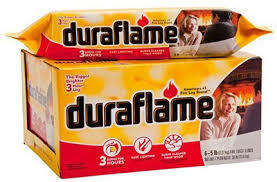 The most common fire logs are made from two components: paraffin wax (a petroleum byproduct) and sawdust. Both are manufacturing waste products that are now combined, packaged and resold by some companies as firelogs. The origin of firelogs may not sound incredibly environmentally friendly, but they do provide ecological upside when used in the fireplace as a replacement for wood. Studies have been performed on the emissions from firelogs, and although their final conclusions vary, they all agree that firelogs give off less harmful emissions than a fire fueled by wood. Part of the difference is also due to the amount of material used. In a typical evening’s fire, 20-25 pounds of wood are used. Firelogs are designed for single use, and weigh up to six pounds. Less material burned equates to less emissions. It also means less creosote buildup over the course of a burning season. Manufacturers have improved on the initial sawdust and wax model over the years by offering products that use more natural vegetable-based binders and even coffee beans. So, as far as the Earth is concerned, chalk a victory up to firelogs. Part of the appeal of a fire in the fireplace are the nostalgic tingling of many senses: the smell of a fire, the crackles and pops, the dancing flames. Burning a firelog may be a bit of a letdown for those looking for a more traditional fire. The smell is certainly different, the flames are there but aren’t necessarily as random as a wood fire, and all that can be heard is the faint hiss of the escaping gases. Some manufacturers have introduced firelogs that imitate the sounds of a wood fire, and even some with different colored flames. But quite honestly, there’s nothing that compares to a good, raging wood fire. Although aesthetic appeal is a big plus of owning a fireplace, many also enjoy (or even rely on) the heat that is generated by their fires. It’s one thing to see the beauty of a fire from across the room, but even better when it can be felt from up close. As mentioned previously, a wood fire is often made up of many logs, not just one, and the volume of fuel helps to create a warmth that is a signature of wood fires. As firelogs are designed to only be burned one at a time, the single log certainly does not generate enough warmth to attract anyone to want to sit closer. If the attraction of heat is a big desire, steer away from firelogs. Walking by that woodpile in front of the local supermarket might be tempting, but consider this: is tinder and kindling handy? Will someone be around to add another wood log on the fire when it dies down? Is someone even available who knows how to properly start a wood fire? Picking up a four-hour firelog for the night and merely lighting the packaging may seem like cheating to some, but it sure makes having missed out on being a scout that much easier to deal with. 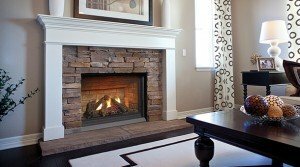 This may seem like an easy answer, but it all depends on how often the fireplace is used. Will it be used on just the occasional weekend, or is this the type of home that has a fire every night? For some, wood is easily the cheaper choice because fallen trees are readily available for cutting and splitting. (Of course, the monetary cost is replace with much blood, sweat and tears, but adds the benefit of feeling tough.) For the frequent burners, it may also be more economical to buy a cord or two of wood every burning season. For others, it is much better to buy individual firelogs for the handful of times company is over to enjoy the fireplace. So, as the frequency of fires increases, wood becomes the more affordable choice, and firelogs benefit the casual burners.